The following companies support our work by contributing funds. To find out how they base their giving, please contact us. Baking Steel is the real deal. It's like a pizza stone, but better. You know how you broke three pizza stones in the past year? You know how you thought about giving up pizza making because of the crushing disappointment? All of that is in the past now that you have a Baking Steel. It's made of steel. Steel conducts heat faster than stone, which means you'll bake pizzas faster and with better results. It's awesome AND Baking Steel has offered us 8% of every sale made through the link below. Forno Bravo has been building wood fired ovens and backyard oven kits since 2003, earning accolades from some of the world's most demanding chefs and bakers. If you've always wanted a backyard oven, this is your chance to make it count for both your family and those whose lives will be enriched by food as a beneficiary to your action. 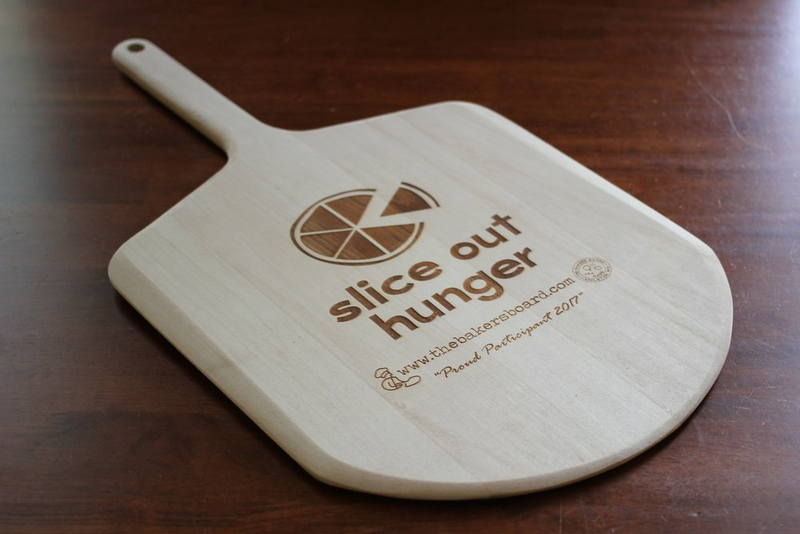 Contact us directly to find out how your purchase of a pizza oven can benefit Slice Out Hunger! Mike Kurtz started making chili-infused honey in his Brooklyn apartment nearly a decade ago. Now his condiment is an extraordinarily popular ingredient on popular restaurants' menus. It's the perfect blend of sweet and heat. Try it on pepperoni pizza, fried chicken, or even in a salad -- it's divine! This is quickly becoming the most popular condiment in pizzerias today. Both high end Italian restaurants and corner slice shops in New York City carry bottles of this high quality extra virgin olive oil infused with chili flakes. It's delicious and a portion of proceeds will support Slice Out Hunger! Larry Melberg founded The Baker's Board in 1986. The company fashions beautiful and functional pieces from the finest raw materials, with their Perfect Pizza Peel line being the most exciting for us pizza lovers! Larry contacted us because he supports our mission of assisting food-deprived people in America through the pizza community. THANKS LARRY!